Of course music is an integral part of Hindi films and fans and, well we, always are eager to hear and see that first track! For the film, Happy Phirr Bhag Jayegi, starring Sonakshi Sinha, that song is the joyous, fun and well Swag fully excellent ‘‘Swag Saha Nahi Jaye’. Composed by the brilliant Sohail Sen, ‘Swag Saha Nahi Jaye’, which already is a hit by the way, is sung by Neha Bhasin and Shadab Faridi and also features vocals by Sen.
First let’s look at the killer video ICYMI! We were very lucky to catch Sohail Sen for a fabulous interview about ‘Swag Saha Nahi Jaye’ and he gave us some amazing answers that really give an inside look into the making of a song! What was the brief for ‘Swag Saha Nahi Jaye’ from Happy Phirr Bhag Jayegi? Well, for this particular song, the briefing was that it was based around a typical Punjabi wedding and of course around the main character Happy (from Amritsar) and her adventures, and so it had to be as gregarious as the character of Happy. One should just be able to figure out Happy (well, almost) after listening to the song. How did the music for the track come to you? I had already composed the music for Happy Bhag Jayegi part 1 of the movie and so had been very much in tune, literally, with the characters and the plot. 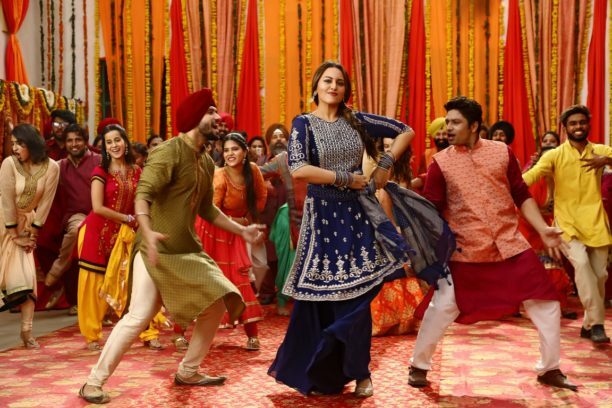 Once I got to know the plot of Happy Phirr Bhag Jayegi from Mudassar Aziz, then it was clear that this is a story of a typical, hotheaded Amritsar girl (Sonakshi Sinha) who has the wildest streak in her. And that’s how I started to compose the music for this film with director and lyricist of the film Mudassar Aziz. The song is basically a Punjabi wedding folk song and so has all the elements of that genre. What to you is the most special thing about the track? What to you is the Swag of the song? The fact that it’s an out and out foot tapping number that it just brings out the essence of the movie, and captures the Swag of Happy, her attitude, her maverick personality, her free spirit and her will to do something different. It’s really a very light hearted and fun song. Tell us also about the working with the singers on the song. Well, working with Neha Bhasin and Shadab Faridi is just amazing. They have done complete justice to the song. I have worked with Neha earlier too, like in Mere Brother ki Dulhan [Dhunki Dhunki] and Gunday [Asalaam-E-Ishqum] and with Shadab in Gunday [Jashn-e-ishqa and Mann Kunto Maula]. Neha’s voice, which is so distinct, husky and expressive, really suits this song. The same with Shadab, his singing is so energetic and charged, its just perfect for the song. I mean they are both thorough professionals and perform so well, and have given that perfect Punjabi flavor and tadka to the song that seriously, I have been very happy with the song. How was it working with the director for this track? Working with Mudassar has been great experience more than a director he is like a brother to me. He is a wonderful director and insightful, very precise and clear about what he wants. I get all the right inputs from him and then I get my independent space and time to compose the song. We work as a team, and together we approve and dis-approve and tweak things till the track sounds just right. We really have a great camaraderie as I have worked with him and composed the music for Happy Bhag Jayegi (the first part) too. Thoughts on the video for the song? Yes, the video is fun and has been beautifully choreographed. 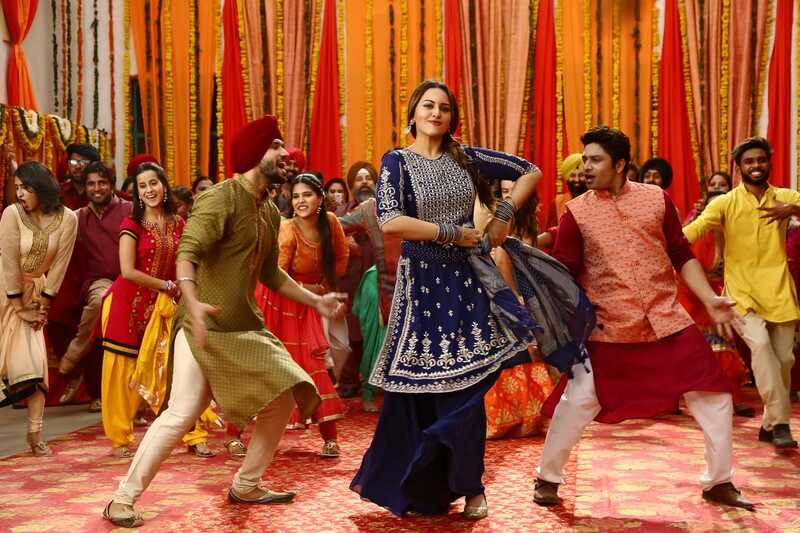 Sonakshi Sinha and the whole cast has danced very well, the bhangra steps are superb, its catchy and infectious and I am sure its going to get the audience to groove as well. And, it definitely has got the fans of the Happy Bhag Jayegi all curious and eager to know what the sequel is all about, and what craziness and confusion is there in the movie, as there is footage of Happy running away on a truck and looking all lost in China as part of the video. 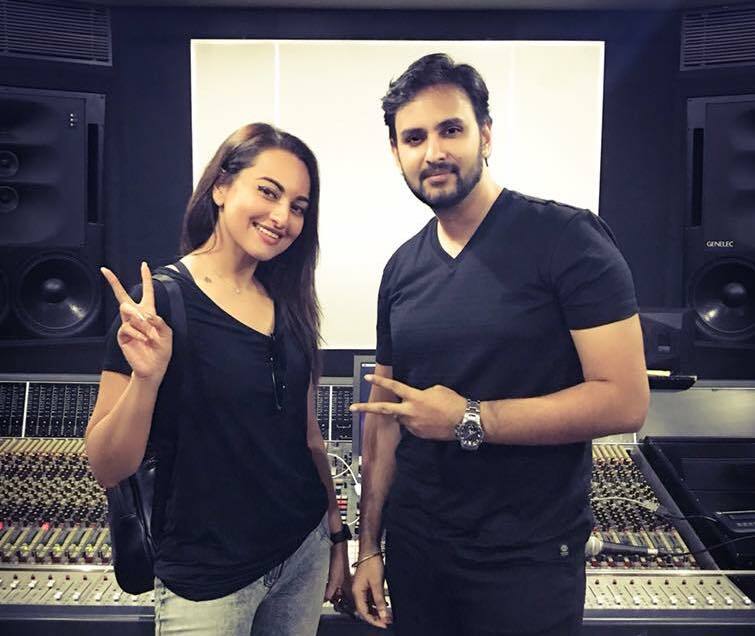 We also have something else special a couple of BTS videos from the shoot from Sonakshi! We can’t wait to hear what tunes Sohail brings to the OST next! Stay tuned! Happy Phirr Bhag Jayegi written and directed by Mudassar Aziz also stars Jassi Gill, Jimmy Shergill, Ali Fazal, Diana Penty and others and is set to hit theaters on August 24th. 15 queries in 0.634 seconds.